When you are in a relationship, you probably know how crucial it is to take the time to be with just one another. There are so many things that can get in our way; jobs, family, friends, commitments. It is not easy juggling life and still giving your significant other undivided attention. It’s not easy, but it is absolutely crucial to keeping a relationship or marriage on the right track. 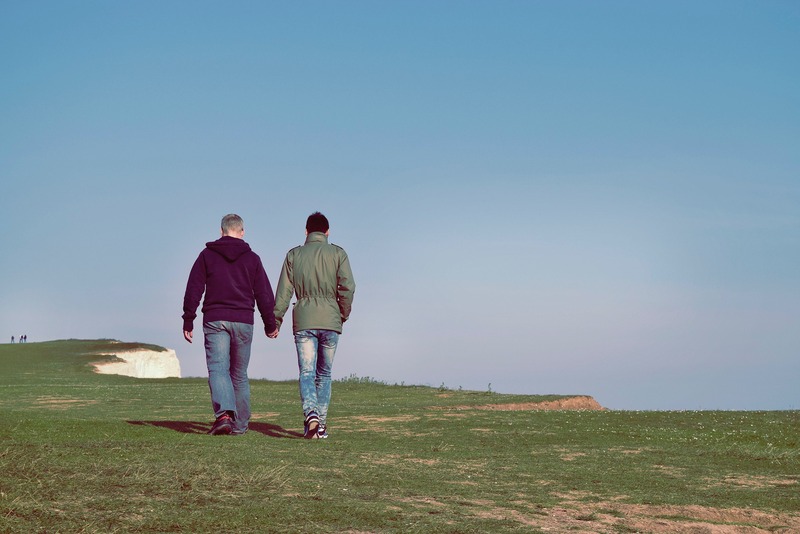 It’s great to take time together at home (if you live together) but getting away can really make a huge difference in allowing you to connect. If you are are raising a family, like I am, you know just how easy it is to get distracted or tired when you try to do a date night by staying in. Things can quickly fall into routine and that can really put a big damper on things. But, how do you plan a night (or even a vacation) away without totally breaking the bank? Justifying a hotel stay or a fancy restaurant is hard when you’ve got a broken washing machine, daycare and only one income. Yes, yes it is. First of all, you are not investing in food or a hotel, you are investing in one another and there is nothing more important to the foundation of a marriage or relationship than that. So let’s talk about how to stick to your budget and work at your relationship. 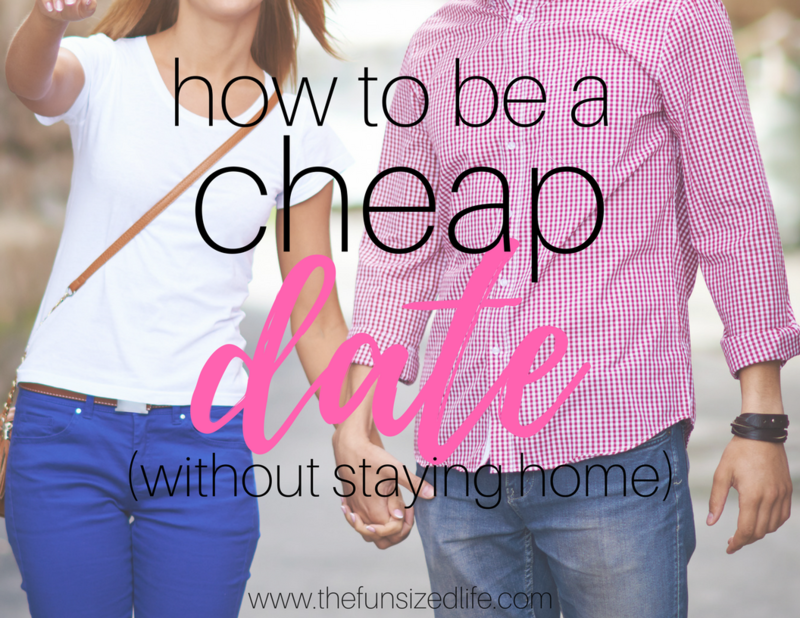 Basically, let me show you how to be a cheap date without staying home. This isn’t only necessary when it comes to planning a date night, but when it comes to life together in general. You have got to loosen the reigns a little and learn to go with the flow. Life is after all consistently inconsistent. So, the best you can do is be flexible with it! You could easily plan the best vacation getaway in your head, but if money just doesn’t allow, it’s probably not going to work. This is where your flexibility comes into play. Being flexible also allows you to do some serious discount hunting to find the least expensive (but still super fun) getaways. Maintaining flexibility also means you are more likely to try new things, branch out and experience different things together. If you live in Minnesota, like I do, chances are you aren’t going to be spending a day at the beach for Valentine’s Day because…brrr. You also have to look at things like time off. Do you have enough vacation days to sneak away for a weekend, or a week? Do you have a family member you can leave your kids with for long periods of time or do you have to hire a sitter? One thing that put a huge damper on Tom and I getting away when the kids were young was finding a babysitter. Spending $100 on a night out becomes a lot more stressful when you have to give the sitter another $40. Turn to your group of friends, a mommy and me group, church friends, neighbors…anyone you know with children of their own. Offer to do a “trade” date night. You’ll watch their kids for a night if they’ll watch yours sometime. This is a great way to not only build great friendships for yourself and your kids, but it’s a good way to cut back not the expenses of a night out. Now, more than ever, before I get ideas together, I let the discount apps give me ideas. My brain is generally pretty tired as it is, so I kind of appreciate having a little removed from my plate. Plus, it makes planning that much more fun when you realize you are able to get a bigger discount off the discount. Here are some awesome ways to get ideas if you only have one night and you want to make the most of it. Groupon- Groupon is usually my first go-to when it comes to finding things around me that are inexpensive, fun and different. I usually find something close to home, in my price range that we have never done before or wouldn’t have even heard of it it weren’t for Groupon. Ibotta– Ibotta is an app that I have been using a lot when it comes to grocery shopping. Read my full Ibotta experience here. The great thing is, you can get rebates beyond groceries. They often offer a percentage back on any Groupons you purchase and you’ll receive $5 just for signing up! Living Social– Another option through the Ibotta app is to get a discount through Living Social. Living Social looks at fun, discounted things that are happening near you and Ibotta will give you a percentage of your money back on any events you choose to partake in! Local calendars- Another thing you can do is check your city’s calendar. They usually have a list of events that are taking place and often times they are free. Dosh- Dosh is an app similar to Ibotta in the sense that it gives you money back on the purchases you make and you get $5 just for sining up! The best part is, it syncs up to your cards so that you don’t have to do anything. You are automatically given money back for any discounts in their database. If you are able to steal away for an entire weekend, I highly recommend it. It is the perfect way to recharge and really allow your brain some time to relax. I don’t know about you but the biggest buzz kill after a night out is waking up at 6 am the next morning with the kids. So let’s check out how to make the most of a weekend getaway while still keeping it cheap. Groupon- I told you, I always start with Groupon. One year, we were actually able to find an awesome Valentine’s Day package with hotel, champagne and credits toward dinner. Along with fun night out ideas, Groupon will also show you a variety of local hotels you can sneak away to. Don’t forget to take full advantage of your Ibotta app with this! Airbnb- Airbnb has become crazy popular and there’s no denying why. They allow people to rent out their homes or rooms for a smaller cost than what you might find at a hotel. The best part is they are all around the world! I have a friend who just AirBNBed her way through Europe! If this is your first time booking with them, you can save $40 right now! Ibotta– Besides giving refunds of Groupon purchases, Ibotta also offers $10 cash back when you book through VRBO or Home Away. Just be sure to book using your Ibotta app! Dosh- If you are new to Dosh, you can get your $5 for signing up and you will get $25 cash back for booking your first hotel through Dosh! Uber- If you are planning a fun weekend away, Uber is a great way to get yourself safely back to your hotel. Again, you can save on rides through the Ibotta app as well! These are my personal favorite. Maybe I’m just extra tightly wound, but often times when we take week vacations it takes me 2 days just to breath easy. I’m getting better at it, I promise. When I met Tom, he was already raising his 5 year old daughter as a single parent. This means that our relationship has never been without a “baby on board.” That is why we make week away vacation crucial in our marriage. We have got to spend time away together and try to gain back those child free years we never got! I mean, if I have to sip margaritas on the beach for marriage counseling, I guess I’m ok with that. Because these getaways are super important, I’m so excited to find that my favorite go-tos have so many options to save us money here as well. Before planning a full on getaway and shell out the money to make it happen, make sure you are budgeting for it! I can’t tell you how many times I just took money I had earned from my photography business to pay for a last minute vacation decision. While this sounds very YOLO…it’s not smart. Don’t blow your taxes on a last minute choice for a vacation. Don’t max out your credit cards to go on a vacation! I HAVE DONE ALL THESE THINGS!! Trust me, a vacation is no longer a vacation when you spend the next year (or more) digging yourself out of the debt it created! Instead, plan ahead for that anniversary trip. Make sure you’ve set aside enough funds to get you through your dream vacation so that you can take off with total financial peace. Travel agent!!! !- If you really want to take away all the stress of planning, find yourself a good travel agent. You can even do this online! I personally steered clear of this because I thought you had to pay a travel agent extra money…what’s the point of a cheap vacation if I have to pay extra?! So let me say, you do not pay a travel agent, I repeat, you do not pay a travel agent. They make money and commissions off the places they recommend you to. So they get paid, you just don’t have to worry about it. When working with ours, I generally give her our budget range and a few ideas of places we’d like to go. So far we have only used her for all inclusive international getaways, but our experiences have always gone smoothly and she has always kept us within our price range. Groupon- Yup, they’ve got you covered for big vacations too. The one hitch is that a lot of their deals only go through certain airports. Plus save with Ibotta! Google Air- I love browsing Google Air when it comes to planning a trip. They show you some of the less expensive getaways right off the bat and also give you a flexible dates options so you can quite literally pick the cheapest dates. Hopper– The Hopper app allows you to browse for the cheapest available flying dates and will notify you when tickets are at their all-time low! Airbnb– After you’ve found a cheap flight, its time to start looking into places to stay. You can see reviews on different places and even get a map of the location. VRBO- Similar to AirBNB, you can browse a wide variety of vacation rentals. Get $10 back on your booking with Ibotta. Home Away- You guessed it, another great site to browse vacation rentals. Get $10 back on your booking with Ibotta. If you just cannot plan for the cost of a vacation or even a night out, I get it, and I have ideas for you as well! Ibotta and Dosh- Using these discount apps every day constantly puts money back into my pocket. The best part is, it doesn’t actually end up back in my pocket. If it did, I would probably spend it immediately. Instead, it works like a little savings program. I get to watch my total add up on the apps and then after I’ve made over $20, I can cash out. I can either have the money sent directly to my PayPal or I can redeem for different gift cards. By strategically using these apps for a little over 2 weeks, I was able to pay for a night out for Tom and I. It was dinner at Buffalo Wild Wings free of charge and it was amazing. I love doing it this way because the money I save from these apps adds up like spare change (but a whole lot faster.) Get Ibotta. Get Dosh. Cook dinner together – If you’re going to stay in, at least be purposeful about it. Exchange massages- I cash in on this idea a lot. IKEA- Yes, Tom and I have taken full advantage of IKEAs child care and enjoyed an inexpensive meal while walking together through all the fabulousness that IKEA has to offer. Barnes and Noble- Get a coffee and browse the good books together. No matter what you do, what you can afford make sure you are having fun together. Tom and I have taken advantage of a lot of the free ideas listed above and have always made sure to just relax and enjoy one another’s company even if it’s only for an afternoon. Great ideas to still have the best times! Groupon is seriously one of the best tools out there! There are such great deals and gives you ideas of things to do and try you may not have thought of before. Exactly! We have had the chance to do so many new things and for a reasonable cost! You bet! Have a great date. You’ve inspired me to book a weekend away! and now thanks to your post I know how where to look for the best deals! Great post! I hope you have an awesome weekend…and have tons of cash left at the end! Awesome ideas! Love the one about using the discount apps like groupon and living social to give you ideas! Full of info! Love the post! ? You can really save so much by using multiple resources! I would love to go bowling with the boyfriend sometime. I’m still trying to convince him. Just like with laser tag en mini golf. Yes! We have done laser tag and bowling…it’s so fun! My husband always wants to do laser tag again! Trade date is a great idea! The babysitting expense always blows he budget! I know!! I think so many people avoid going out because of it that there are a ton of couples who would be willing to trade babysitting! Great tips! We love Groupon for activity coupons and babysitting sharing! These are such great tips and I definitely agree about the babysitter thing being the hardest part sometimes! We’re fortunate now that we live by family and often have free sitters, but that hasn’t always been the case, and they’re not always available so paying for a sitter for four kids (or sometimes having to pay for two sitters!) really adds up! Oh my goodness, 2 sitters!? Yes, that would definitely add up! Just hoping to help ya’ll out! I LOVE Groupon! We use it all the time – buy the Groupon in advance and you have a date night waiting. Planning a huge night out can be stressful and expensive. I love these ideas for fun nights that don’t break the bank. Thanks so much Rachel. I totally get what you mean! Groupon is THE BEST! OMG! This post made my day! One of my boyfriend and I’s goals this year is to go on more dates, but spend less. I am definitely going to add these ideas to our list. That is an awesome goal and TOTALLY doable! Hope you find some fun stuff! Such great tips! I really should look more into Groupon. I haven’t told the hubs yet, but I want to do something this summer for our 10 year anniversary. You absolutely should! We’ve got our 10 year coming up as well and are debating what to do! Thanks Arielle. Doing both is definitely possible! Been there, done that. Investing in each other is so important! Hope you can find some time away! Me and my partner are really on a tight budget situation this year. Especially this coming Valentine’s, this would be really helpful for us to celebrate happily without worrying about spending too much. Thanks for the great Ideas. It was helpful. I hope you can find something that doesn’t break the bank! As a sahm I sometimes get stir crazy and have to get out of the house. There are always frugal things you can do. Just knowing where to get them is essential. Groupon is huge. I literally just starting using Dosh too and use Ibotta all the time. That is so great! I am loving these apps! Every little bit can make a huge impact! What fun ideas! I love that there are so many things to do and places to see without spending any money. So important to have that time together too! You bet, Sarah! These apps are newer to me as well and I AM LOVING them. One way my husband and I save on dates is by not paying for outings, so going to a friends house or a work event. That way, we are not paying for the event and for a sitter. These are SUCH great ideas!! I feel like we really need to make the effort to do a better job at getting out! So much great information here! I’m going to have to pin this and come back to it when I have a little more time to delve deeper. One thing that I was talking to my husband about though is using a travel agency for our 10 year anniversary trip. As much as I love to save money, they have access to more tools and time than I do and would probably do a better job on a bigger vacation while still saving us money. Absolutely! Our travel agent is an absolute life saver when it comes to helping us find big, affordable vacations! All these are great ideas. We did day dates when the kids were in school and hubby happen to have a day off. Going for a drive and getting an ice cream cone was fun and cheap. There are ways to still enjoy each other. Great ideas! I like the idea of swapping babysitting nights with friends, etc. if you both have kids! I LOVE Groupon and other local deal sites. I get so many ideas there. I haven’t heard of Dosh, I am definitely going to be checking that one out! Me too! Especially when you get get even MORE off Groupon! Absolutely! There are so many easy on the wallet options out there! Great ideas! It’s nice to save money for sure!! These are all such great ideas! 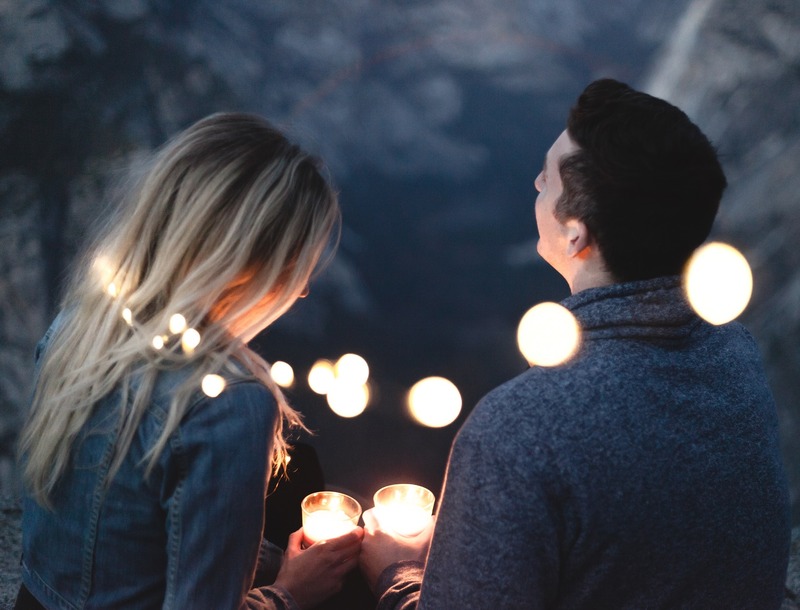 I always feel guilty spending so much on a date night, so I’ll definitely use some of these ideas! Don’t! Investing in a relationship is one of the most important things!